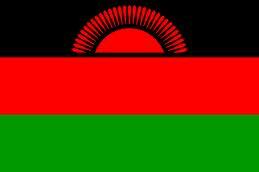 I have been thinking about the meaning of the name Malawi for a while now. For starters, Malawi is a country located in southern Africa, and it is the second country in Africa to have a female President, Joyce Banda. So what does Malawi mean? The meaning of the name Malawi is a bit uncertain; it was originally attributed to the lake itself: Lake Malawi. However, its meaning is believed to be linked to the ancient Kingdom of Maravi which flourished in the area in the 15th century AD. In reality, Malawi means ‘Fire flames‘, evoking the rising sun scintillating on the waters of the lake. This is clearly drawn on the flag of the country. 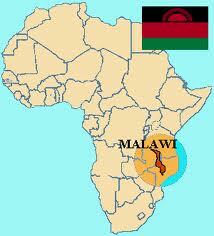 Malawi is a landlocked country bordered by Zambia, Tanzania, and Mozambique. It is a country of high plateaux, with the Shire Highlands in the South, and the Nyka uplands in the north. The Great Rift Valley runs through the country from north to south. Lake Malawi, Africa’s third largest lake and second deepest, runs to the east of the valley. The total area of the lake occupies approximately 20% of the country, and forms its eastern border with Mozambique and Tanzania. Lake Malawi is affectionately called the Lake of Stars. The first Europeans in the regions were Portuguese in the 16th century, and later on David Livingstone made it up the Shire River up to Lake Malawi in 1859 to establish a British presence in the region. The lake was then called Lake Nyasa, with Nyasa meaning Lake in Yao language. In 1891, the British established the British Central Africa Protectorate, which included Malawi and the protectorate was renamed Nyasaland in 1907. The country gained independence from the British on 6 July 1964, renamed itself Malawi, with Hastings Kamuzu Banda as president. Lilongwe is the capital of Malawi, and is located in the central region of the country. The country’s currency is the Kwacha, which means ‘dawn‘ in local Nyanja and Bemba languages. Malawi is affectionately known as the warm heart of Africa. Enjoy the fire flames country located in the highland of southeastern Africa, between Zambia, Mozambique, and Tanzania.